What a year this has been! Brutal storms, a struggling economy, rising costs, a birthday celebration, national awards, new staff members, and more than a few joyful reunions: 2011 had it all and then some. Throughout this year's ups and downs, your support has sustained and energized our mission, and as always, we can't thank you enough. In this issue of the Static, we've done our best to summarize the year at KNOM: both within our studios and within our ledgers. In 2011 Financial Report, you'll find a snapshot of our financial picture, with an overview of our costs, our income, and what we do to make the most of your loving gifts. 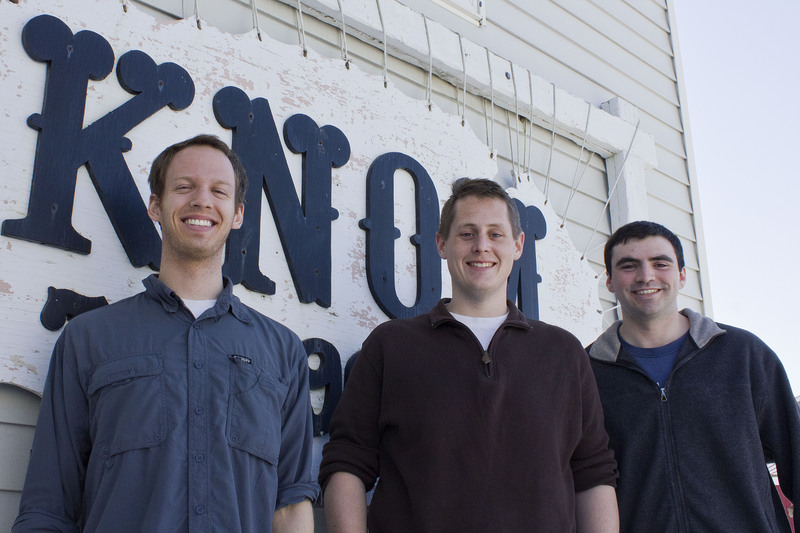 Below you'll also find the highlights of the past year: twelve snapshots of the KNOM story, from January to December. You'll see our celebrations, our challenges, and, throughout, just what a difference your support has made in 2011. 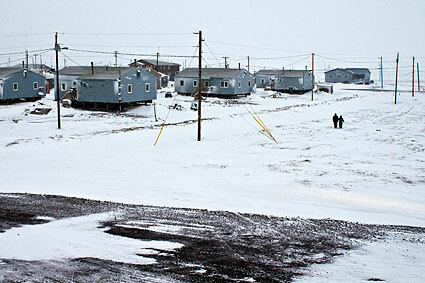 As we approach 2012, it is the darkest time of the year in Western Alaska, with four hours of daylight and temperatures easily falling into the double digits below zero. Thanks to you, we're not only keeping the heat and the lights on (including the lights of our Christmas star, seen at right! 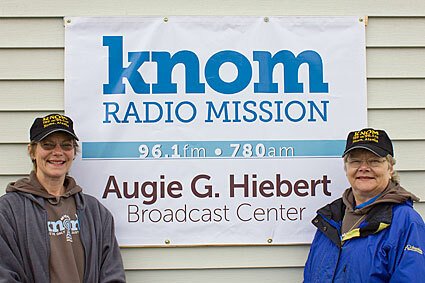 ), but we're also keeping KNOM's unique mix of inspiration, information, and companionship beaming throughout the rural stretches of our region. We thank you for your prayers, your support, and your friendship, and know that you are always in our prayers, as well. From all of us at KNOM Radio Mission, a very happy and healthy New Year! As we go to press, so many families in our listening range are putting up lights and decorations for Christmas. We're doing the same: both within our studios and high above them. 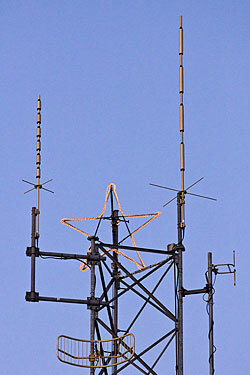 For miles around Nome, just a few lights punctuate the night sky; one of them is the Christmas star atop our FM transmitter tower (pictured bottom left). We illuminate the star at the start of every Advent season, and this year, turning on its lights required a bit more work than usual. Back in June, we benefited from the generous volunteer work of engineer Les Brown and a visiting tower crew, who, together, reconstructed the star and hoisted it to the top. 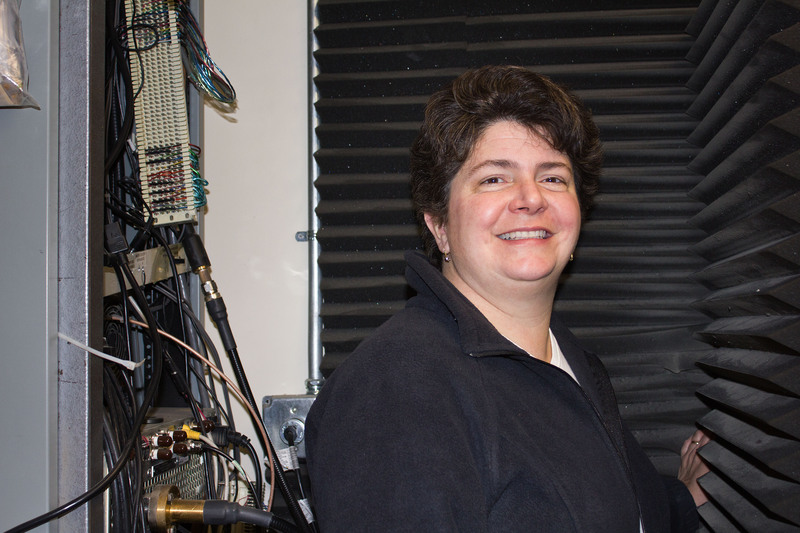 Their efforts paid off: despite the fierce winds of November's Bering Sea storm, the star held, allowing development specialist Betsy Brennan (pictured top left) to throw the switch in our engineering room. 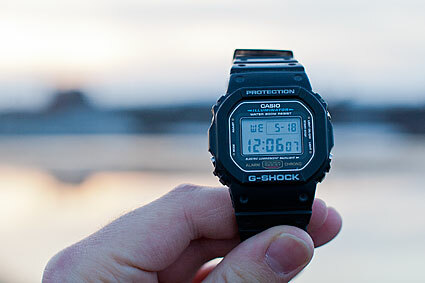 Thanks to your support, we closed fiscal year 2011 in the black. The cost of operating KNOM Radio Mission from July 2010 to June 2011 was $1,394,034.61, while our income, in the same period, was $1,414,203.73. As you'll see in the Income pie chart below, the vast majority of our income – a whopping 97%, to be exact – came from individual donors, through regular donations (80.4%) and legacy giving (16.6%). The generosity of thousands of supporters made possible virtually everything we accomplished over the past year. 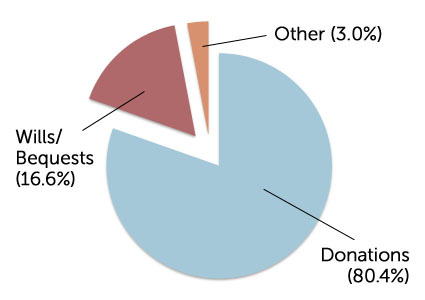 The majority of the remaining 3% of our income (marked "Other" on the chart below) came from local underwriting, grants, donated fares for regional air carriers, and rent from the National Weather Service, which uses KNOM's AM tower to broadcast its own, local weather signal. Our expenditures in fiscal year 2011 are broken down in the Expenses pie chart below. 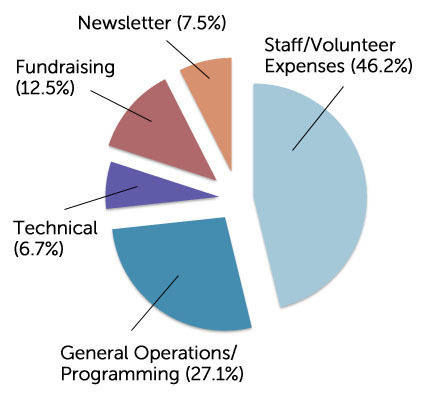 The biggest piece of the pie came from staff and volunteer expenses (46.2%), followed by general operations and programming (27.1%), fundraising (12.5%), costs related to this newsletter (7.5%), and technical costs (6.7%). Some of our expense line-items for the past year were affected by factors outside of our control: even beyond our struggling national economy. 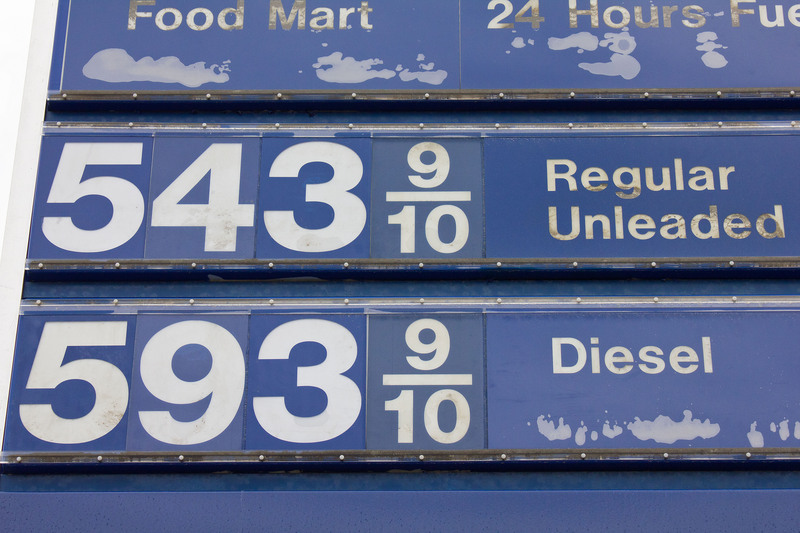 The rising price of fuel – astronomical in rural Alaska – has continued to impact all our expenses, even as we do all we can to be fuel-efficient in our operations. Meanwhile, we estimate that increases in the price of stamps have likewise increased our direct mail costs by around 5%. 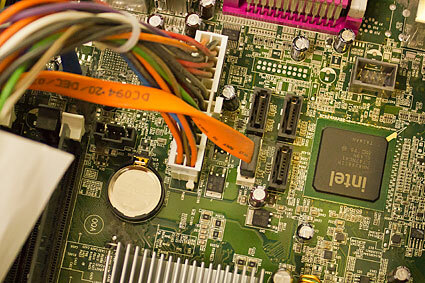 As we've detailed in past issues of the Static, we've taken steps to counteract these growing costs with greater efficiency. 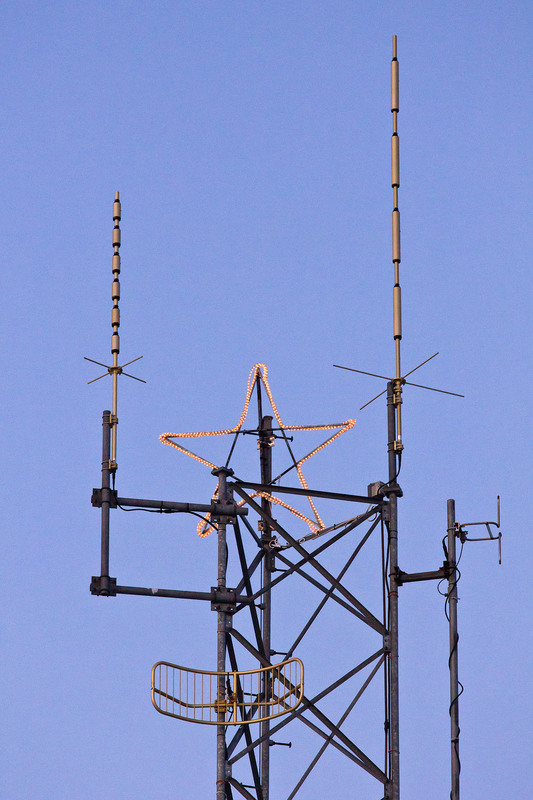 From the LED lights at the top of our AM transmitter tower to a new heating system in our volunteer dormitory, our facilities use newer, fuel-efficient technologies that save us money on operations – and make your donations go further to directly affect the lives of our listeners. Despite our challenges, we hope you'll share our excitement that we made ends meet this year: made possible because of your generosity. 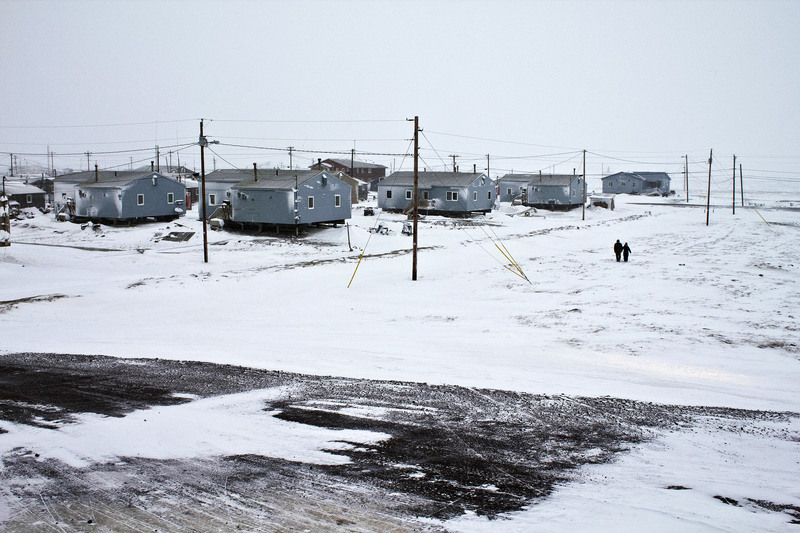 For keeping our signal beaming throughout Western Alaska – even in lean financial times – we can't thank you enough. We are all blessed by people who pray. They are like sheltering trees, shielding us from the harshest conditions. They stand tall and help us to keep faith. It's always a great comfort to know they are there. 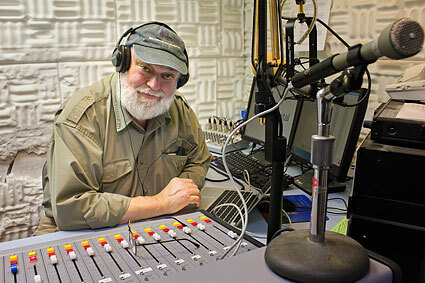 In the wake of the loss of KNOM founder Tom Busch – whose technical expertise had aided our mission for decades – longtime engineer Les Brown does "fix-it" work at the station. In the Static, readers also learn of the creation of the Tom Busch Memorial Fund, which will be dedicated specifically for KNOM's planned digital renovation and studio expansion. In the Static, we detail a crisis in the village of Savoonga (suh-VOON-guh), which suffered – but ultimately, endured – a week of power outages caused by severe weather. Thanks to you, volunteer Ben Matheson is able to report on the crisis: "People were happy to share their stories with me about the time the lights and heat went out in the dead of winter." 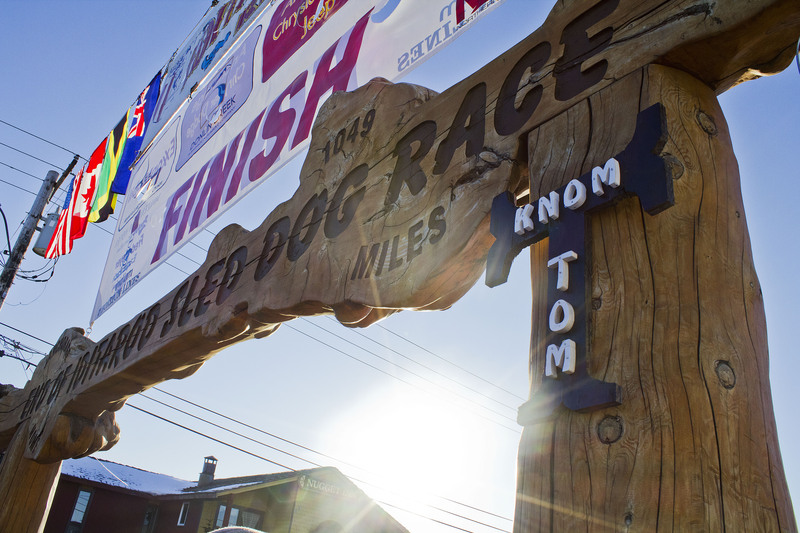 It's an extremely busy but rewarding month at our mission, as we launch our completely redesigned website (knom.org) and then, just days later, cover a very special running of the Iditarod Trail Sled-Dog Race. 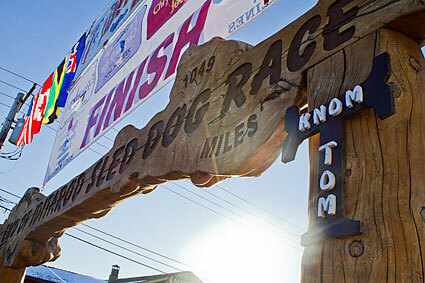 The Iditarod names KNOM and its late founder, Tom Busch, as the "honorary musher" for the 2011 race; a "T" is placed at the finish line in Tom's memory. 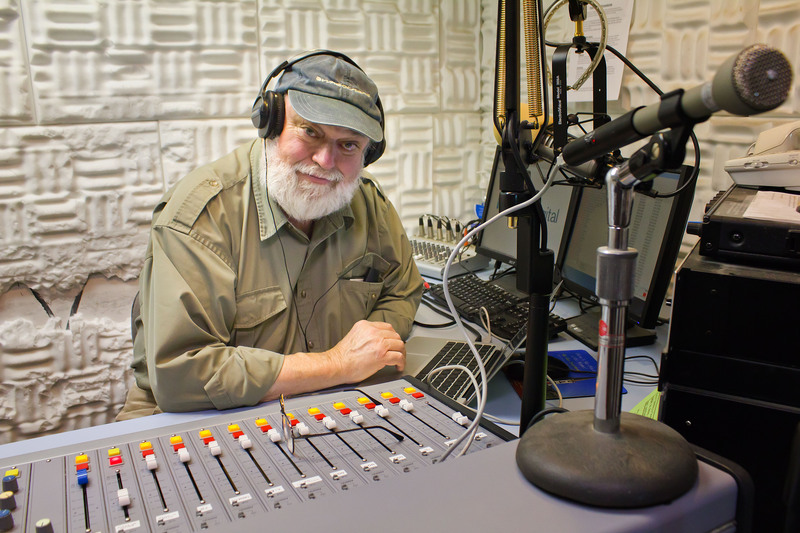 For the second month in a row, KNOM tells Static readers of the urgent need for the station's digital renovation, which would replace our studios' aging, analog equipment. 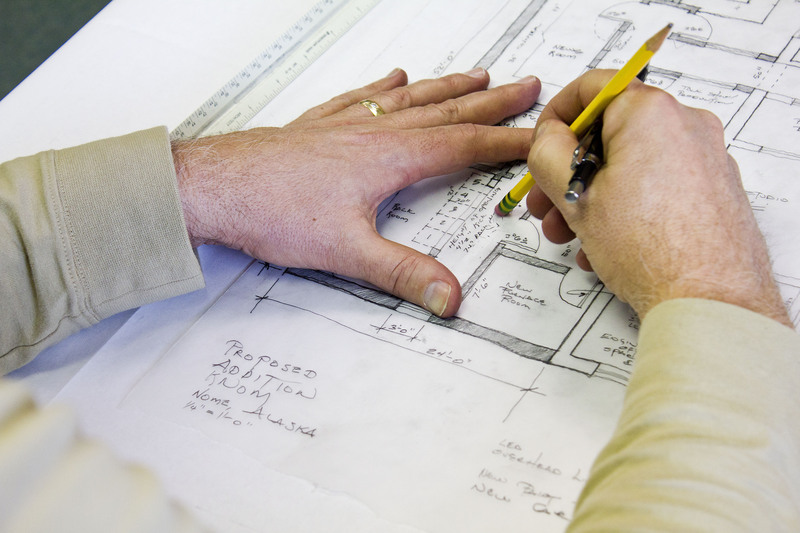 We report on the work of architect Frank Schmidt (brother of general manager Ric Schmidt), who donated his time to help draft blueprints for the construction project. "The Boys are Back": that's the title of our front-page story this month, celebrating the decision of our then-first-year volunteers to renew for a second term of service at KNOM. 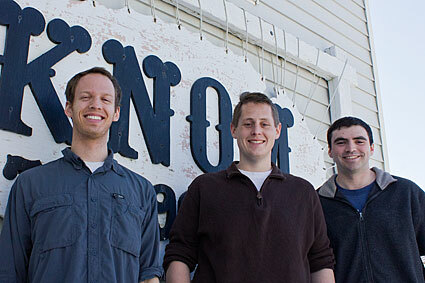 News reporter Ben Matheson, public affairs director Matthew Smith, and production director Matty Guiffré all decide to extend their commitment through 2012. We're thrilled. 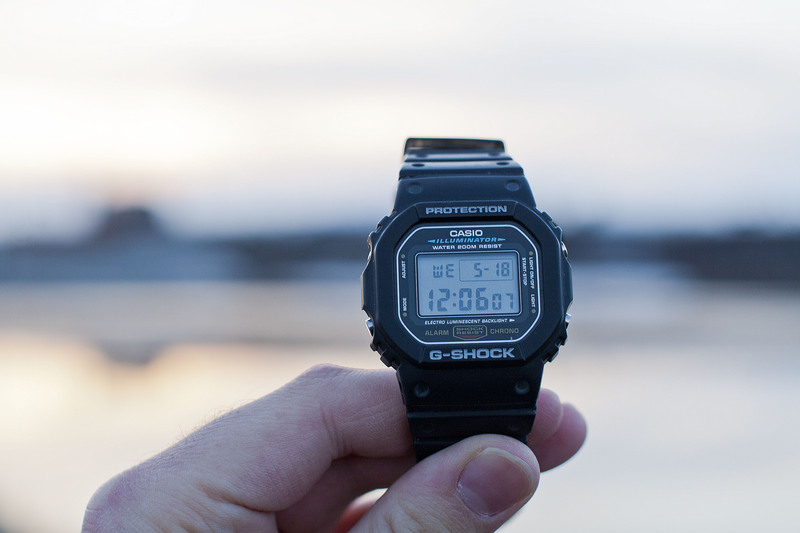 With the return of summer and nearly round-the-clock sunshine (bright enough to read a watch! 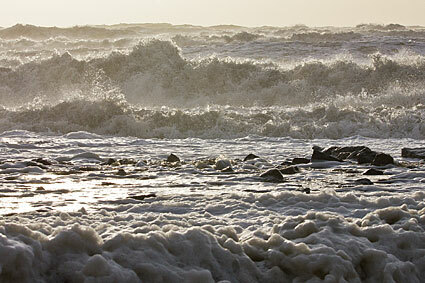 ), it's a month of activity and transitions. 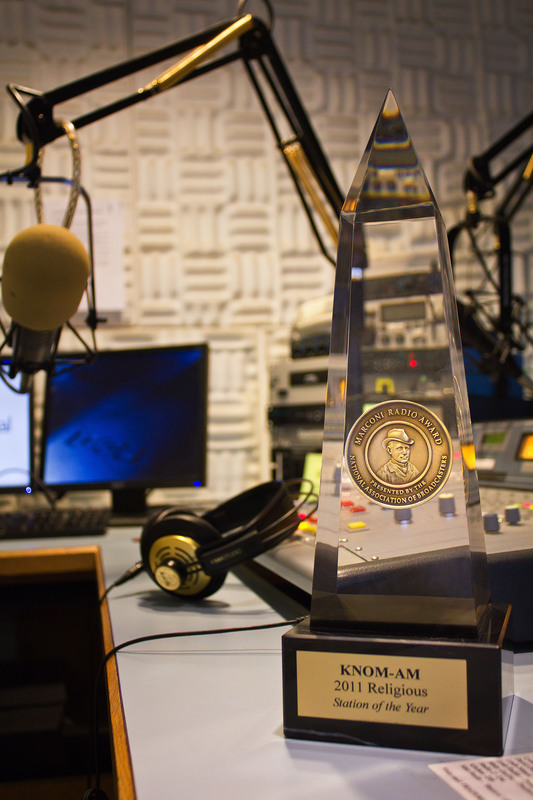 We receive our 19th Gabriel Award for Radio Station of the Year, sharing the honor with all of our supporters. 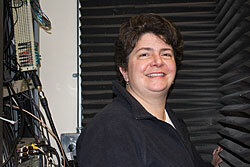 We also bid farewell to volunteer Linda Maack, who departs for Fairbanks after two outstanding years of service. 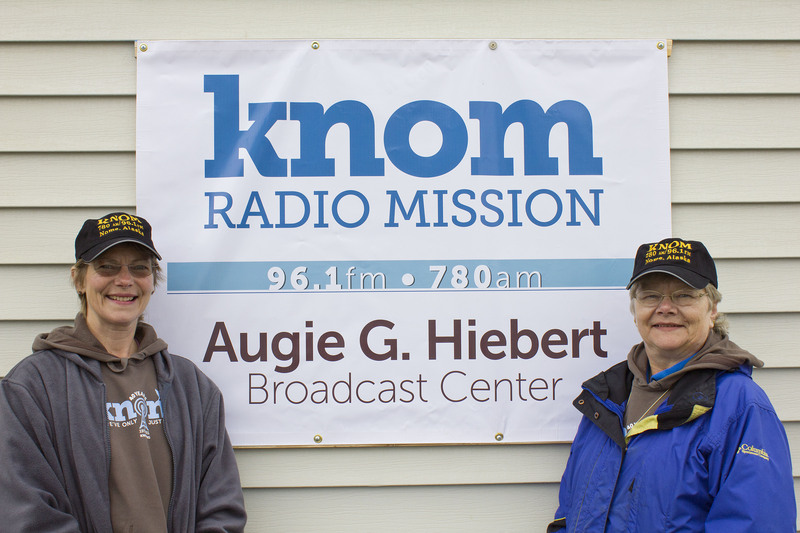 KNOM celebrates its 40th birthday with family and friends: among them, Cathy Hiebert and Terry Puhr, who help dedicate our studios to their father, Alaskan broadcasting pioneer and KNOM supporter Augie G. Hiebert. Many KNOM alumni are on hand for the dedication. 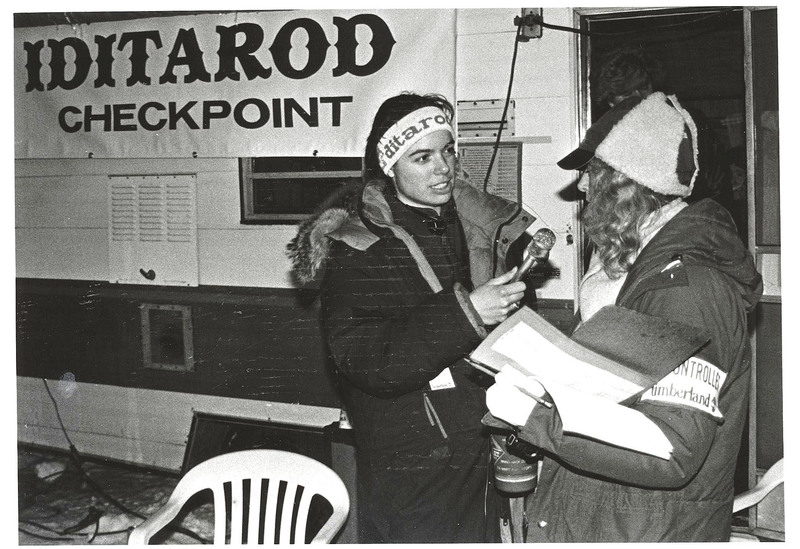 Just days later, volunteer Leah Radde departs after two years of superlative work. 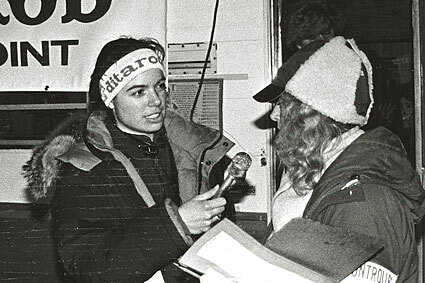 In this month's issue of the Static, we share the highlights of our 40th birthday, as well as the memories of KNOM alumna Katy Clark, who writes, "Much of what I learned about faith, community, simple living and social justice I learned while serving at KNOM... To put it simply, I do not know where I would be today if KNOM hadn't entered my life." The September Static includes warm welcomes to two new KNOM staffers: Laura (Davis) Collins and Rebekah Pierce. 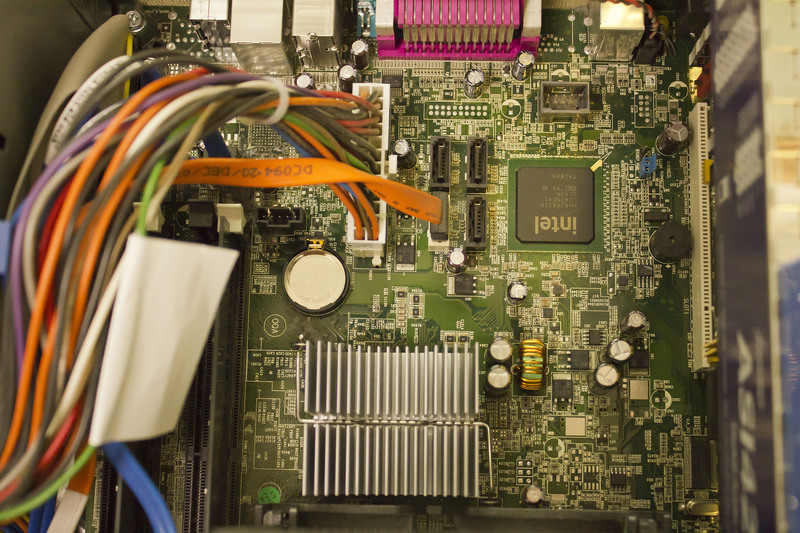 We also report on equipment problems that relate to our aging technology: once again, underscoring the urgent need for our planned digital renovations. Finally, we note the return of starry skies in Western Alaska after months of the midnight sun. 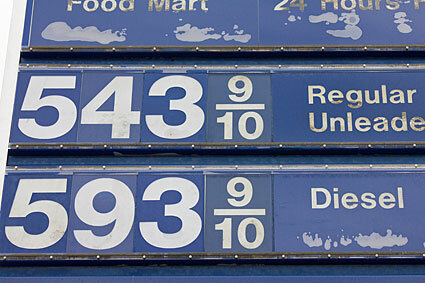 In the Static, we report on the sky-high prices of fuel in Nome (27% higher than in 2010) and detail steps we're taking to improve our energy efficiency: from new heating equipment at our volunteer dormitory to the ongoing plans for the station's digital renovation. 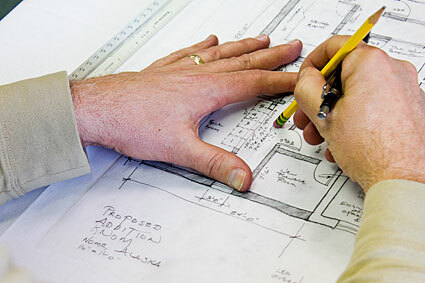 This month, we're thrilled to report that funds for the renovation project now exceed $100,000. 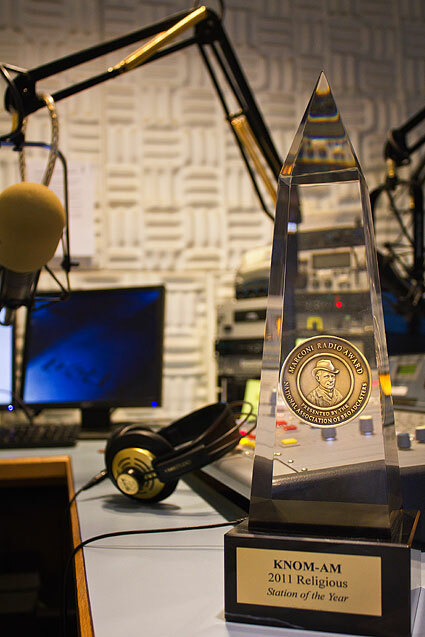 As we pause to remember KNOM founder Tom Busch on the one-year anniversary of his passing, we celebrate an award that Tom paved the way for: the station's third Marconi Award for Religious Station of the Year from the National Association of Broadcasters. It's one of broadcasting's greatest honors, and we share it with all who make KNOM possible. 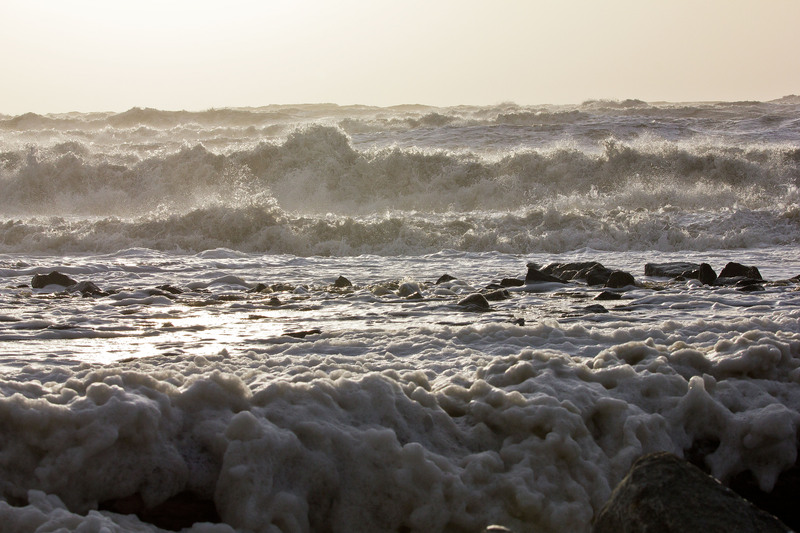 The Static is full of tumult this month, as we report an epic Bering Sea storm – one of the worst on record – as well as the unexpected passing of spiritual advisor Father Vince Beuzer, SJ. Despite the challenges, we joyfully prepare for the Christmas season and anticipate another incredible year at our mission: all made possible because of you.